The position you sit, stand, or perform daily activities are all related to your posture. The potential for injury increases tremendously with poor posture. Prolonged sitting is a frequent cause of back and neck pain and overall body fatigue. Some simple modifications to your positioning can take a lot of stress off your joints, and allow for more energy throughout the day. 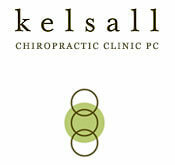 The chiropractic physicians at Kelsall Chiropractic are trained specialists in locating postural stresses and correcting them. With most patients a standing and seated examination will help determine which areas need the most attention. The practitioner will observe various anatomical structures including the position of your head, shoulder, hip, pelvis, knee, and feet and in relation to the spine. Chiropractic manipulation, massage therapy, and other related treatments would provide relief; however combining patient education with home care will allow for greater improvements. Common complaints from a person who sits most of the day while working on a computer, or doing desk work include; tightness in the upper back and shoulders, headaches due to forward head placement, lower back strain, fatigue and shallow breathing patterns. Many of the complaints can be corrected with some simple exercises. It is very difficult to retrain habits, especially with poor posture, but the payoff is exponential. Simple ways to help with postural stress and fatigue are; take frequent micro-breaks and stand up, practice light stretching or range of motion of your arms and legs and incorporate yoga and meditation. Postural awareness exercises, such as the Brugger’s position teach patients how “perfect posture” should feel, and awakens the appropriate muscles through habitual training. Below you can see the how the Brugger position can be performed while standing or seated. 4.) Look straight forward and position head in neutral position. To learn more about improving the performance of your body through Portland chiropractic care or massage therapy, contact Kelsall Chiropractic Clinic, P.C. today at (503) 223-8719.